Last week I published a video about five popular gifts to give guests at a benefit auction. Here’s another guest gift idea. This idea didn’t make the video, but it’s also not as popular or common. However it was quite popular at this Brazilian auction. 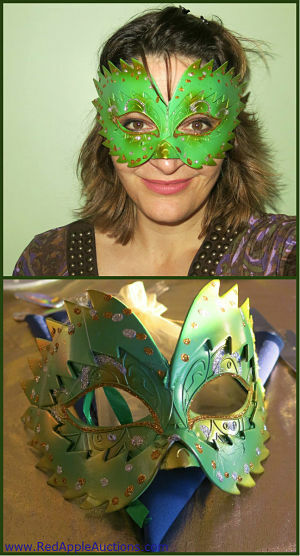 The theme was “Meet Me in Rio.” Carnival masks of various colors were given to guests as a gift. They placed one mask per salad plate. A secondary benefit: the masks served as decor, sprucing up the gala tables. If you’ve got a Brazilian theme coming up, this might be a fit for you, too. For more help with your fundraising auction, check out my benefit auction trainings.